Troy High Grade Machined Interlocking Olympic Grip Weight Plates combines the EZ Lift feature with a patented Interlock feature. This unique combination makes Troy plates easier to lift, load and lock. The interlocking feature allows the user to safely load more plates onto machines and bars to maximize workouts. 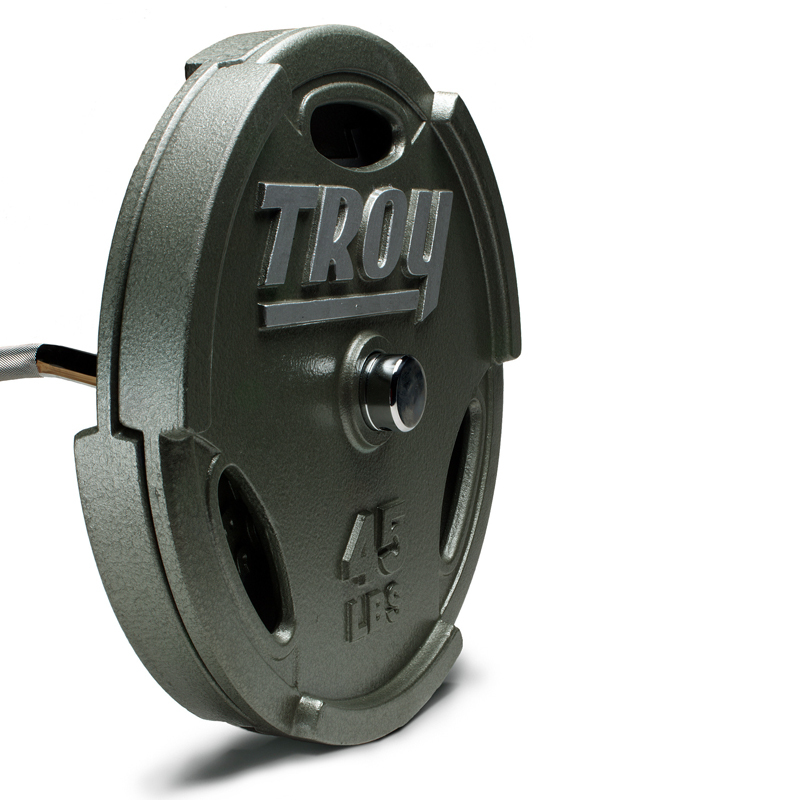 The Troy Interlock feature also prevents plates from spinning and wobbling during your most strenuous workouts. It's twice-baked gray enamel finish gives it lasting durability. Our Troy High Grade Machined Interlocking Grip Plates are made out of the highest quality ASTM Grade 20 cast iron and are designed to be used in the heaviest situations. As always, Troy product quality and customer satisfaction is assured. 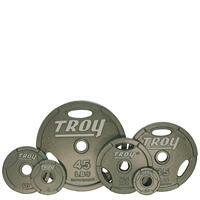 Once you use the Troy Interlocking Plates you may never use another plate again! These plates are designed and machined to a high level of accuracy. Note: The 2.5LB, 5LB, and 10LB plates do not have grip holes.